What Is A Monster Site? Let us help you make your mark on the world. Our team can help get your website featured on high authority sites such as ABC, NBC, and The Boston Globe. Press releases is the standard for creating white hat SEO strategy. Whether you’re promoting a new business venture or hosting an event, we’ll turn it into a high quality article known as a press release. The MONSTER press allows us to send the article through several news distribution channels such as The Associated Press, Lexis Nexis, and Comtex. These news outlets will take your press release and publish it on their websites. This approach results in diverse links from reputable sites, driving traffic to your site, business, or event. The best part about press releases is that your potential clients get to see your authority in your respective market, which is good for business. When top news syndications receive and publish your press release on their site, you’ll be on the receiving end of high authority links from domains with a high DA ratio. The best part is that they aren’t subdomains. In the world of Google that means you’ve earned authoritative and trustworthy links which moves you up the ranking pole. Dynamic links allows you to minimize your anchor text. HOTH press is a safe, easy, and effective way to develop rich, in-content, diverse links. One benefit of our distribution services is that you’ll get links with high domain authority for reputable new affiliates. Once you get these links, you can put their recognizable logos on your website under the “featured” section. This gives you credibility and social presence. In addition, you can distribute the links to these news sources through your social media pages. If your press releases are for your clients, this approach makes you look like a social guru to your clientele. Press releases provide businesses with an opportunity to promote themselves. Any sized business requires online recognition with the involvement of webmasters in on-page and off-page optimization. When properly executed, press releases can broadcast your business’s info in ways other search engine strategies cannot. Press releases function to inform potential customers about a company’s notable events and attract the right kind of group in the industry. As a company, we offer top-tier press release creation services that will boost your online presence as well as traditional media. Notably, these services are not limited to particular industries. We will also go ahead and analyze your website and inform you of viable ideas to develop through publishing regular press releases. Understanding the techniques of producing an excellent press release can be a daunting task. However, our agency offers you quality copywriting services and will publish these press releases in a cost-effective and timely manner. The social change exhibited today has brought about changes that have left businesspersons scrambling for space in online media. The press release, which is a familiar marketing tool, has become a vital instrument in any digital marketing campaign. Leverage our services today and help people learn more about your business. Our team will collaborate with you and draft a press release that’s unique to your business or event. When it comes to circulating the press junket, we have a three step process to ensure that we’re driving traffic in the right direction. Before bringing us on your team, take an in-depth look at our process. This step requires all hands on deck. We want you to share with us your idea and will work with you to formulate a draft for your press release. Tell us what you expect by giving us information such as the subject, URLs, and keywords. We employ top tier copywriters from the United States to write a creative, high-quality press release. Once you approve the draft, we will distribute it to our close network of journalists which includes The Associated Press. After we distribute your press release, we’ll deliver a report within 1-2 weeks after approval. Long after you receive your report, you may continue to see an uptick in high authority links. This is a clear sign that your press release distribution is working for your niche. 1. Are Sample Reports Available? Absolutely! You can download a sample report here. 2. Do I Review or Edit the Press Release Prior to Distribution? Yes. In fact, this step is a requirement. Your press release represents your business or event—and we want you to have a good feeling about it. Our team will send you a draft of your press release where you can read, edit, or request changes. 3. Can You Explain the “Boost” Option? The boost option allows you to beef up your press release backlinks. Our team will create 2nd tier links that will drive attention to your press release. 4. Are There Any Banned Topics? Illegal or Gray area content (i.e. unlocking smartphones, hacking, bypassing gaming restrictions). 5. What’s the Turnaround Time? Depending on the content, a press release can take anywhere between 2-5 days to craft. If you’ve selected to approve it before distribution, it can take 7-10 days. 6. Should My Links Be Nofollow? If you use keywords as anchor text or phrases with keywords, we recommend nofollow links. In the event your website uses naked anchors, you can leave it as a do-follow link. 7. Do You Accept Foreign Keywords? No. 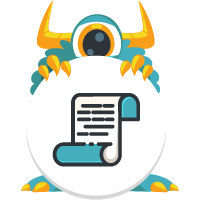 All content for the MONSTER press, including keywords and target sites, must be in English. However, we accept foreign keywords or orders for The MONSTER Link Building product, MONSTER Blitz, and MONSTER Local. 8. What Niches Are Off Limits? MONSTER press doesn’t accept “gray” niches or from industries that involve gambling, e-cigarettes, adult content, or weight loss. Most of these are the niches that the distribution networks consider as spammy and will not publish the press release. 9. Can I Put the Network Logo On My Website? Once we distribute your press release, you can add the logos to your website. Click here to get the downloadable images you can use.